There are plenty of drones that can be used to take videos from the air or to take aerial photos. That’s great for photographers, but doesn’t do much for gamers. Drone n’ Base has created The Gaming Drone. Use these little drones to play augmented reality video games. Todd spoke with Matus, who explained what The Gaming Drone can do. 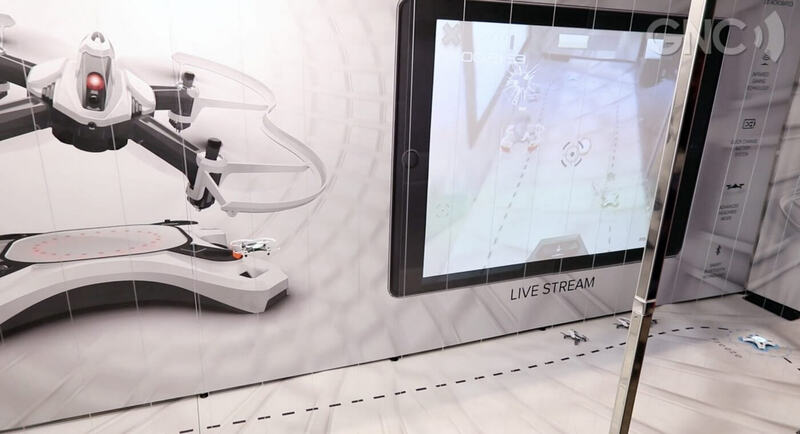 There are two styles of video game that you can play with The Gaming Drone. One is an augmented reality game where you play against a computer. You control your physical drone and battle the computer’s drone that is inside the game. The other video game is a multiplayer race and battle. Each player places a game board on the floor, and flies his or her drone over it. This enables the player to race and battle with other players in the video game. The Gaming Drone by Drone n’ Base is priced at $199. Each package comes with one drone, one base, and two batteries.